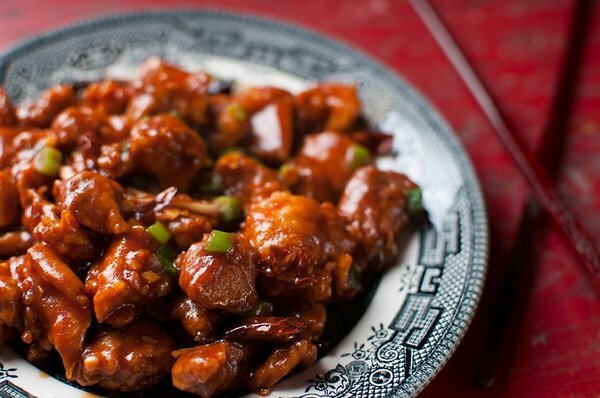 Many of us have eaten The General’s chicken at cheap, steam-table Chinese restaurants: Gloppy, over-breaded and so sweet you fall into diabetic shock afterwards. It’s crap. Especially if you’ve ever eaten General Tso’s chicken in a good Chinese restaurant. 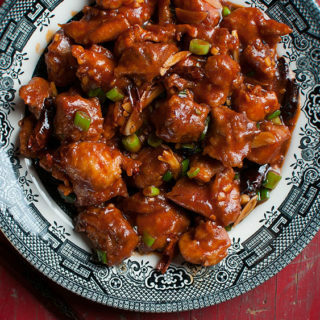 Done correctly, General Tso’s chicken is irresistible: Tender meat with a light, crunchy batter reminiscent of tempura, tossed in a sauce perfectly balanced between sweet and spicy, studded with green onion and Chinese tien tsin chiles. It is the crack cocaine of Chinese food. You want it. No, you must have it. At any cost. I know people who will do shameful things for a plate perfect of General Tso. This is that plate, folks. And it has a history. General Tso was in fact a real general in China. Hunan, to be exact. But the general did not make this dish, nor would he really have recognized it. A Taiwanese refugee from Hunan named Peng Chang-kuei invented this back in the 1950s. Peng’s version was not nearly as sweet or crunchy as what we are all used to; that version has its origin in the early 1970s, when a chef named T.T. Wang, who had eaten Peng’s original in Taiwan, opened a Hunan restaurant in New York City. By all accounts Peng loathed the American version of his recipe. Too sweet. And he apparently rolled his eyes at the notion that extraneous vegetables such as water chestnuts or baby corn should appear in the dish, which is supposed to be meaty through and through. Fuchsia Dunlop has more details on the story here, and it is from her excellent Revolutionary Chinese Cookbook: Recipes from Hunan Province that my version originates. My take on General Tso’s is slightly more powerful and hearty than most “authentic” versions. It is definitely less sweet than the cheapy Chinese style, and definitely spicier. I also make a little more sauce than Dunlop’s rendition because, well, I like the sauce. And yes, I use pheasant breast instead of chicken. 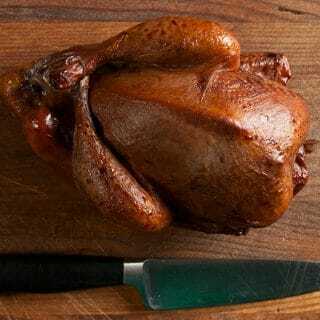 Pheasants happen to be indigenous to Manchuria in Northern China, and this is a wild food blog, after all. And while I’ve never heard of General Tso’s beef or pork or whatever, I bet you could sub in other meats, too. Rabbit springs to mind. If you do, let me know how it went in the comments section. Note that while you need a lot of oil to fry the pheasant in, you can reuse it several times. Just let it cool a bit and strain it through a paper towel back into the bottle. Make this recipe. Then make it again. You will find yourself craving it in an almost unnatural manner. Like I said, it’s basically crack. I of course use pheasant here, but chicken is the traditional meat for this recipe. If you do use chicken, use thigh meat instead of breast meat; it tastes better. 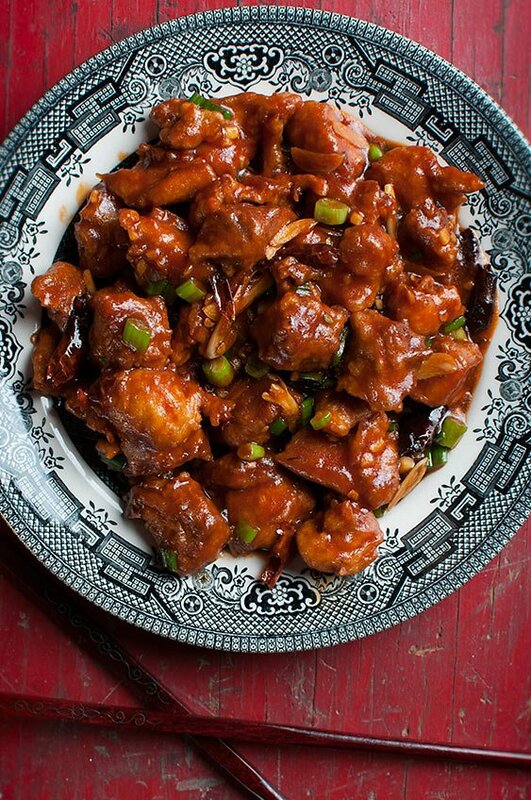 There are a few unusual ingredients in an authentic General Tso's that you will want on hand, notably the black vinegar and the tien tsin chiles. Both are readily available in larger supermarkets or in Asian markets. That said, if you live in an area without large supermarkets or Asians, you can use malt vinegar and any dried chile. In a small bowl, mix egg yolks, soy and potato starch together with the pheasant pieces. Set aside at room temperature while you chop everything else. Mix the sauce ingredients together in a small bowl and set aside. Pour the peanut oil into a wok or large, heavy pot and heat it to about 350°F. If you don't have a thermometer, you can test by putting a little flour or the end of a wooden chopstick into the oil: If it sizzles immediately, the oil is hot enough. Get a chopstick or something similar ready -- you will need this to quickly separate the pieces of pheasant when they hit the hot oil. Lay out a baking sheet with a paper towel on it for the finished pheasant pieces. When the oil is ready, add about 1/3 of the pheasant pieces and immediately use the chopstick to separate them. Fry until they are golden brown, about 2-3 minutes. Remove the pheasant from the hot oil with a slotted spoon and set on the baking sheet. Repeat twice more with the remaining pheasant pieces, frying 1/3 at a time. Doing it this way keeps the oil nice and hot. Turn off the heat and let the oil cool a bit. Pour it into a heatproof container (I use a large Pyrex measuring cup) and deal with it later. Wipe out the inside of the wok if using. If you are not using a wok, get out a large saute pan. Heat the 3 tablespoons of peanut oil in the wok over high heat for 1 minute. Add the dried chiles and cook until they almost turn black, another minute or two. Add the ginger and stir fry 30 seconds, then add the garlic and stir fry another 30 seconds. Add all the pheasant pieces and the green onions. Stir the sauce in the bowl and add that, making sure you get all the potato starch, which will have sunk to the bottom. Stir fry 1 minute. Turn off the heat and mix in the sesame oil. Serve at once with steamed rice. When you're done with this recipe, try making Kung Pao with Pheasant, too. It's just as good! 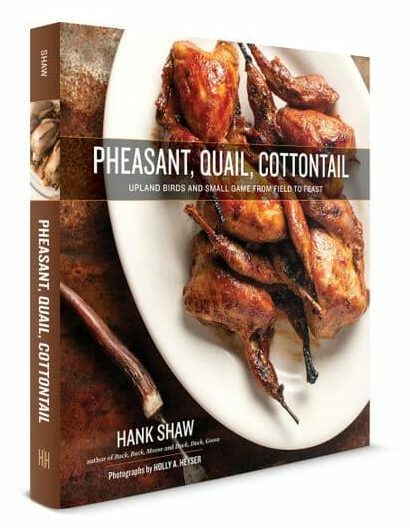 You can find dozens of recipes for pheasants and other upland birds here on Hunter Angler Gardener Cook! Matt: You could, but I like it better with light meats.